So far we have a great list of social enterprises that are profit seeking, trading organisations that have a social mission and measured and positive social impact. Are you one of these organisations or know where we can find them? We will launch our directory in the coming weeks with all of the names and organisations we have been able to find. Are you one of them? If so, why not contact us on our Contact Page or through Facebook or Twitter. 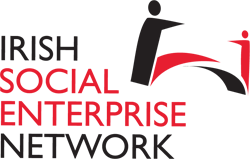 Help us find Ireland’s social enterprises!